مصطفوی, سید حسن. (1390). A Problem in Avicennas View on the Origination of the Soul and a Reply to It. دوفصلنامه جاویدان خرد, 07(16), 19-30. سید حسن مصطفوی. "A Problem in Avicennas View on the Origination of the Soul and a Reply to It". 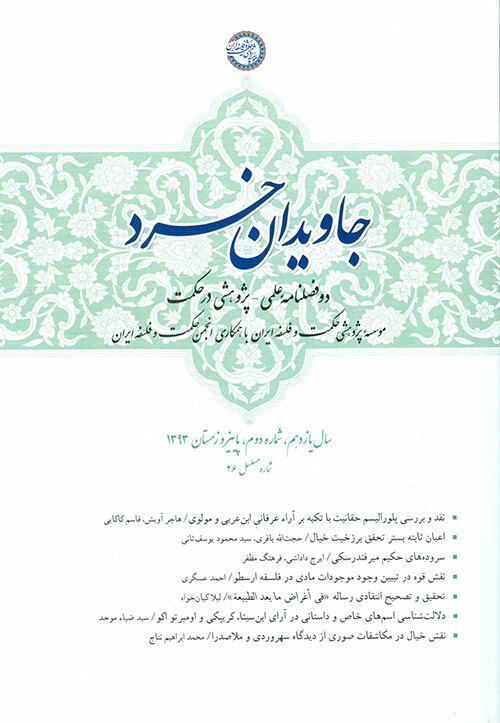 دوفصلنامه جاویدان خرد, 07, 16, 1390, 19-30. مصطفوی, سید حسن. (1390). 'A Problem in Avicennas View on the Origination of the Soul and a Reply to It', دوفصلنامه جاویدان خرد, 07(16), pp. 19-30. مصطفوی, سید حسن. A Problem in Avicennas View on the Origination of the Soul and a Reply to It. دوفصلنامه جاویدان خرد, 1390; 07(16): 19-30.